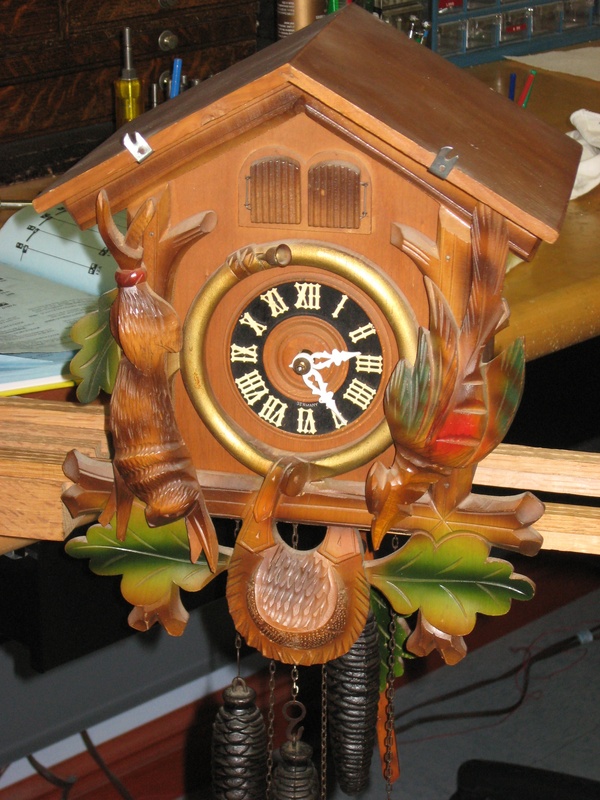 I repaired this one-day musical cuckoo clock. The movement was made in Germany, and the Thorens music box came from Switzerland. The clock dates from the 1950s. The dial is 3 inches. This is a very good design for a musical cuckoo clock. 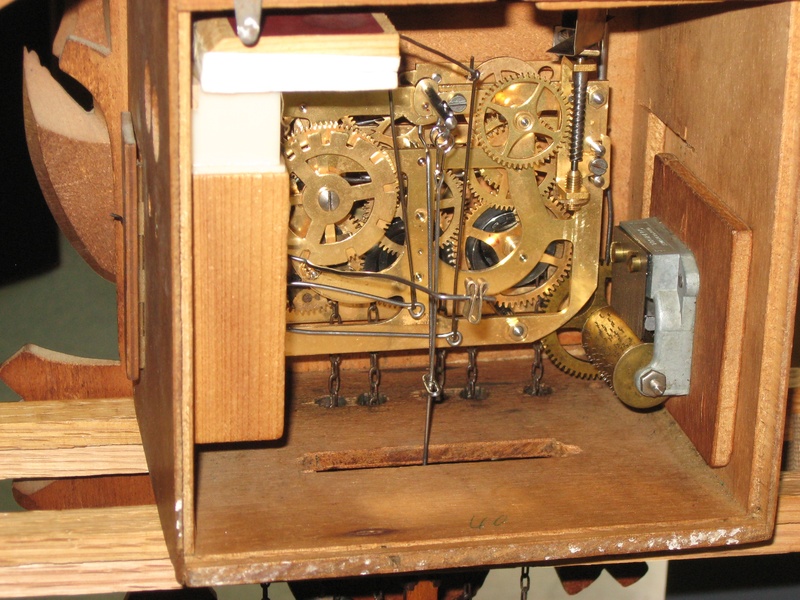 The main movement has the gear train and governor to run the music box. 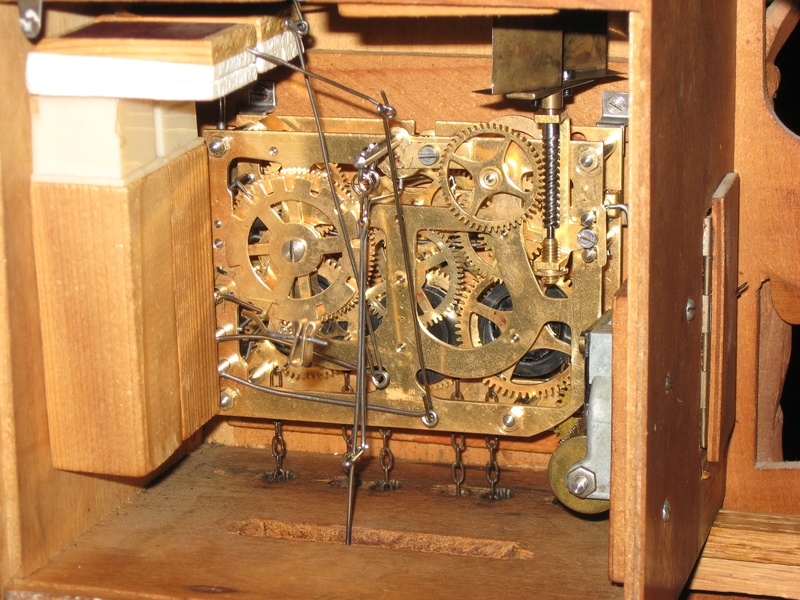 The music box is a separate unit mounted on the side. It has a drive gear but no other gears. Repair job 6068. I polished the pivots and installed 10 bushings. A previous repaired had bent the verge our of shape, I was able to shape it properly without it breaking.